WiFi ... What a technology! It can make your life easier. 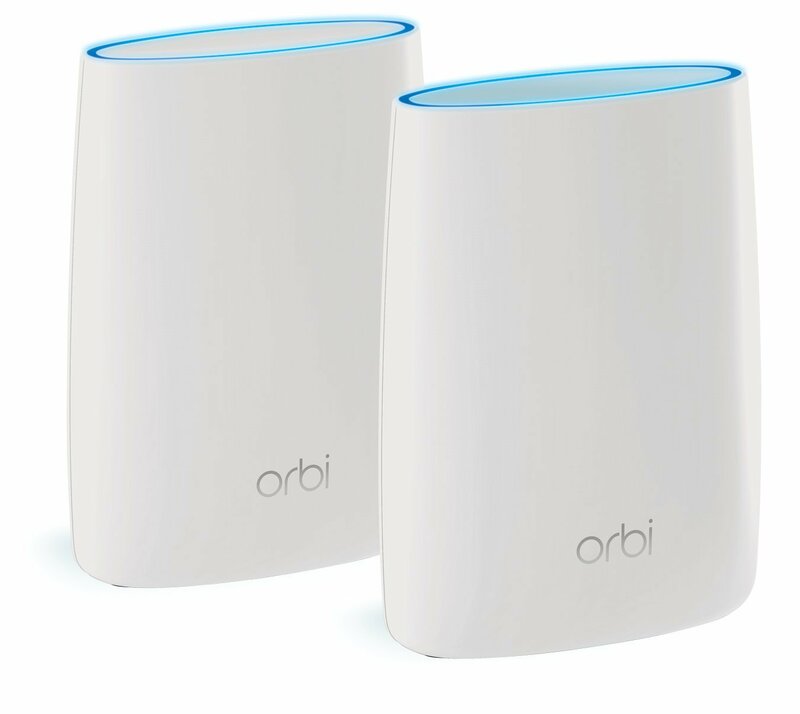 To help you and have a high-performance WiFi, Netgear is releasing its new system called Orbi. Create one large Netgear WiFi network in your home with the Netgear Orbi, the first Multi-room Wi-Fi solution that solves all your problems WIFI !. 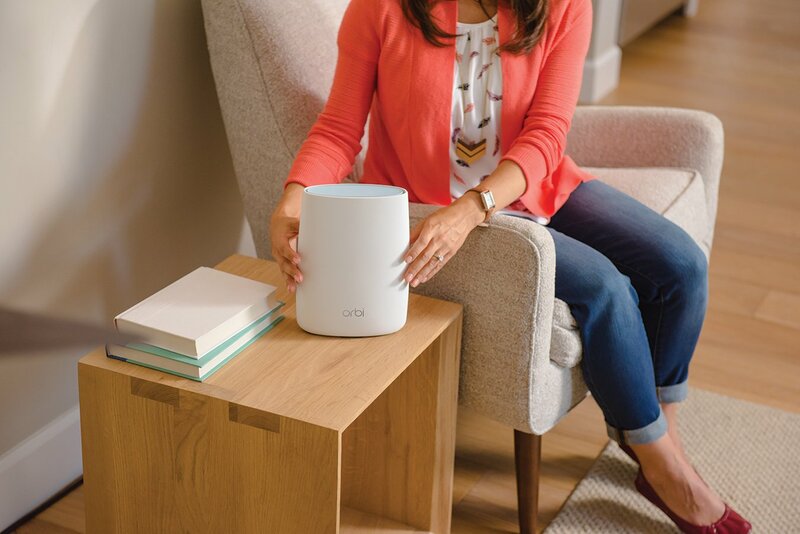 Orbi consists of a router and a satellite. Place the router to your modem and the satellite in the center of your home. The satellite expands the network, rather than to strengthen it. This makes Orbi is very suitable for multi-storey houses, because you're everywhere equally strong wifi signal. Let's now look at the technical side to understand the difference between Orbi and the already existing systems, such as the WiFi repeaters or extenders we have already in market. That in point-to-point, that is, they communicate with each other from one point to another. The star WiFi where there is a central point that sends to secondary points placed in a triangular fashion. And finally the Mesh: there we create a WiFi type loop, each terminal communicates with the other to offer all its power, which allows to keep the same quality and stability on each terminal. The system is composed of at least one Base, to which can be added satellites to extend the range according to its needs or according to the configuration of its environment. The Base Orbi covers up to 175m ² of surface and with an additional Satellite you add 175m ² of area in addition. Either 350m2, yes, you counted well.But all this did not prevent Netgear from retaining Formula 1 features and performance. You really have something to fill the white areas of your home with a Base and Satellite set. The Base and the Satellites resemble each other like 2 drops of water. They are matte white in color and resemble an oil diffuser or an air purifying device with an oval shape. Frankly the design is successful and neat, there we no longer talk about a black box very ugly with all sorts of antennas that protrude. And yet Orbi has 6 antennas, but hidden and integrated. It's good, a box WiFi not ugly, which can integrate shamelessly into your rooms, and that I assure you that Madame will love. The satellite and router are in contact with each other and connect automatically with the strongest signal, so you'll never suffer from dead spots. And where other WiFi amplifiers have a delay of a few seconds, Orbi switch without a hitch from the satellite to router and vice versa. This gives you never suffer from signal loss when you walk through your house. If necessary, this set can be expanded with additional satellites. Nothing to complain about, it catches everywhere and the WiFi throughput is really good everywhere you are and even outdoors in my garden is royal. I have the Base in my living room and a Satellite in my garage and frankly I have a WiFi network that holds the road without falling flow when I move from one place to another. The range is even better than my RT1900 with its 3 external antennas. Netgear has done a good job, they have managed to combine performance, ease of installation and aesthetics passes everywhere. Netgear will then offer an automatic and fully transparent update system for the user for future evolutions. Multiroom Wifi - also called 'mesh network,' 'surround network' or 'adaptive wifi' called - is a name for a WiFi technology. A multiroom WiFi network consists of a base unit and separate satellites. The base station sends the signal to the satellites. These are all wirelessly connected. Through this technique, the wifi signal is uneven and you have no more trouble creak as you walk through your house. The app Orbi imagine the router easily with your smartphone or tablet. The app is available for iOS and Android.